The management team at OneLaw (a legal practice management software company) believed there was a better way of streamlining their daily operations and decided to do a complete company-wide systems overhaul. It was during this process that the opportunity arose to try other CRM’s and the team jumped at the chance to try OnePageCRM. 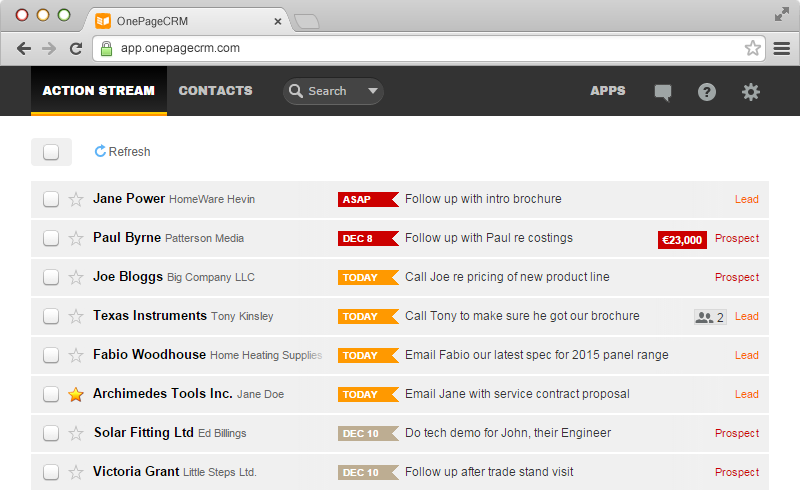 As OnePageCRM came highly recommended by a friend they were confident it would be a good match for their sales process. The team were up and running almost immediately and they found the user interface intutitive, which was a very pleasant surprise. “Having a CRM which was easy to use was a fundamental part of our systems overhaul”. Headquartered in Christchurch, New Zealand, OneLaw Limited has been in operation for almost 10 years. They identified a niche in the market for a simple to use, low administration legal practice management system. With over 20 years’ experience in the industry, OneLaw’s team knew they had the expertise to develop and deliver the next generation of legal services with modern software and a sustainable strategy. Prior to using OnePageCRM, the team had a system in place they were finding ‘clunky’ and difficult to use. 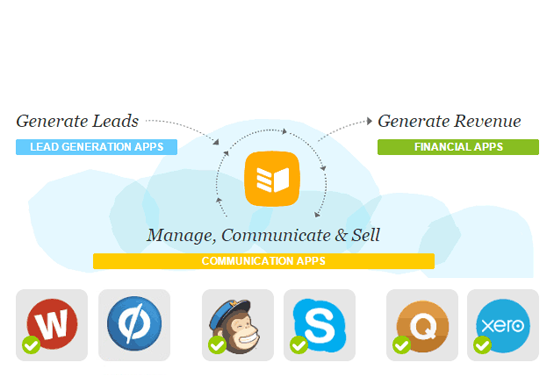 This led to low uptake from the team, completely defeating the purpose of having a CRM. Affordability, simplicity and ease of use was part of OneLaw’s search criteria as they wanted to ensure they implemented a CRM which would be used every day. The sales cycles in OneLaw varies – from days to years – so they would often have multiple interactions with their prospects before closing the sale. This meant they needed to implement a more streamlined sales process so each team member was reminded when to follow up. This was not intuitive in their previous system, causing extra time consuming admin and a potential loss of customers. Other elements of frustration included the difficulty in searching and retrieving customer data. This was becoming a serious pain point for the sales and marketing team, as they needed a system that enabled them to find contact data quickly, especially when that contact was on the other end of the line. 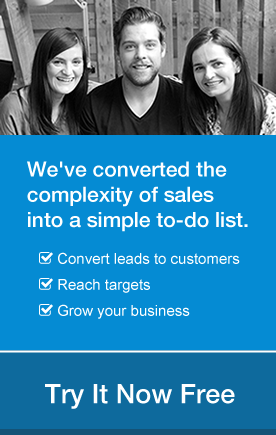 OneLaw knew they required a CRM with a built in sales process which would grow with their business. They resonated with the fact that simplicity was at the heart of OnePage CRM – similar to their own software. The team were able to find the data they needed quickly and update as required. This was a key part of their onboarding process – if a prospect called, at a glance they knew who they were, their previous interaction with the company and what they needed to do to help them. This led to increased efficiency across the business. The sales cycle can vary depending on the decision makers involved in each law firm, (in some cases there’s decision by committee) so it’s about ensuring the team are reminded to follow up. In some cases this may include several demonstrations and numerous quotes, then a period of negotiations. Using next actions ensures they’re always organized and empowered to keep moving forward and building the customer relationship. As with every marketing team, it’s important to be able to analyse your data. OneLaw are able to easily retrieve this data by running filters. This helps them to quickly identify who their customers are and where they are located. This has given them the ability to understand their customers more, to make educated decisions on where they invest their budgets, what events they attend and who they target. They were impressed by the level of innovation especially when they tried “the magic wand” and a headshot popped into the contacts profile. This was part of the enhance contact feature, which is connected with the contact’s email address. The OneLaw team are looking forward to the latest developments in the pipeline, especially with the introduction of the new live interactive Kanban view (currently in a Beta test). 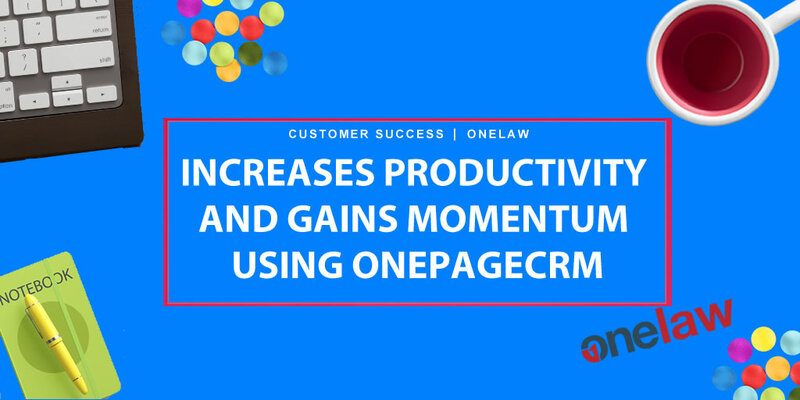 Since implementing OnePageCRM, the team at OneLaw have increased productivity, become more organized and efficient in running their business. It has given them a more systematic approach to ensure they follow up with their prospects and customers. And what’s more, if a sales agent leaves the company or a new agent starts, OnePageCRM makes it easier to pick up where they left off with their leads for a seamless transition. As the team are working in a niche industry, it’s critical that they understand who their customers are and where they are located. Targeting the right market is key to sales success and OnePageCRM helps them to segment their markets using tags and custom fields. Looking to the future, the team plan to dive deeper into the integrations OnePageCRM offers with apps like MailChimp and Xero. They are optimistic about the future updates in OnePageCRM.